Not many buildings can claim to have been built under the instruction of aliens from Venus. The Integratron, however, is not your usual two-up, two-down. Located in the heart of California’s Mojave desert, the white-domed structure is set on an “intersection of powerful geomagnetic forces, that, when focused by the unique geometry of the building, concentrate and amplify the earth’s magnetic field.” In other words, expect some seriously good vibrations. 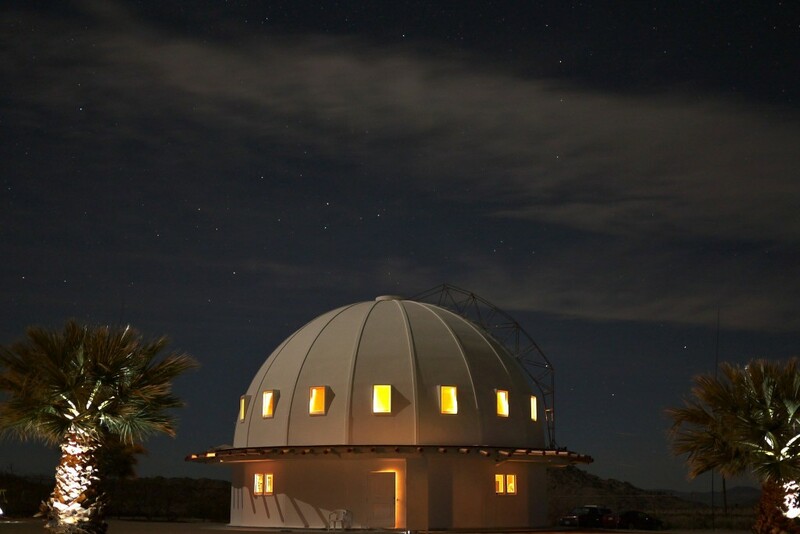 The brainchild of aircraft mechanic and ufologist George Van Tassel – who began construction on the building in the 1950s after an alleged jaunt on board a Venusian spaceship – the Integratron was intended as a machine that could rejuvenate living cells. Tassel also considered it to have potential as a time machine and anti-gravity device, though unfortunately it is yet to send anyone floating peacefully back to the middle ages. Still, the structure itself, an acoustically perfect “resonant tabernacle”, is quite remarkable. Tassel didn’t use a single metal screw or nail to build the Integratron, which was constructed only from wood, fibreglass, glass and concrete. Sadly, he died suddenly in 1978, before being able to put it to the test. Now, the Integratron is run by two sisters, Nancy and Joanne Karl, who bought the building in 2000 and run regular tours of the site. As well as attracting fans of new age and alternative healing, many musicians pay it a visit, presumably while on the hunt for that elusive new sound. In 2008 the Arctic Monkeys dropped by to record part of their song Secret Door, and Robin Pecknold of the Fleet Foxes is also a known fan. Perhaps the most popular offering at the Integratron are the “sound baths” – hour-long sonic-healing sessions, described as “kindergarten naptime for grown-ups in a sound sphere”. Participants lie back in the dome’s main chamber and immerse themselves in the sound produced by a series of quartz crystal bowls, which resonate within the room. • The Integratron is at 2477 Belfield Boulevard, Landers, California, a 2.5-hour drive east from Los Angeles. Sound baths are held on a bi-monthly basis for $20pp and are filled on a first-come, first-served basis. Private baths start at $80pp, with reductions for groups.